From the first minute you meet Dr. Goldberg, you become affected by his simplicity, “old school” charm and integrity. Dr. Alexander Goldberg is three times American Board Certified Family Physician and has been practicing medicine and surgery for the most part of his life. His patients consistently recognize him for achieving optimum results as well as an outstanding level of patients’ service. His ability to find the right solution working together with his partner specialist physicians has earned him an outstanding level of trust with his patients and their families. Dr. Alexander Goldberg’s patients are children, adolescents, adults and the elderly. He believes in a holistic approach to wellness and medicine as a strong foundation to physical, mental and emotional health. His achievements are consistently recognized by the American Board of Family Physicians as well as internationally, going back to his years of practice in General and Emergency Surgery in Russia and Ukraine. Through his life, Dr. Alexander Goldberg is a passionate learner who masters the latest medical research, procedures, and techniques and obtains countless certifications and diplomas. But his main talent always remains with his patients and his practice. As an attending physician at Centra State Medical Center in Freehold, New Jersey he is one of a few physicians that makes sure that he personally sees his patients at the hospital. As part of his everyday practice, Dr. Goldberg has strengthened his ties in the medical community as he is supported by a number of specialists doctors and technical personnel. Together, they work as a team developing treatment plans for you and your family. Dr. Goldberg has been practicing medicine in Monmouth, Somerset, Ocean and Atlantic Counties of New Jersey for the last thirteen years. Dr. Goldberg is affiliated with the following hospitals and healthcare facilities: Centra State Hospital, Freehold, New Jersey, Bartley Healthcare and Rehabilitation, Jackson, New Jersey. 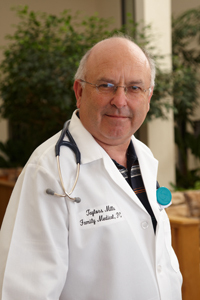 He is an active member of the American Academy of Family Physicians.